First African American woman to graduate from the University of Illinois at Urbana-Champaign (1906). 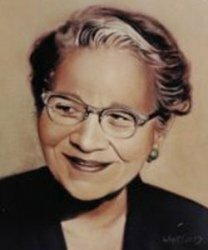 This pioneer became the first African American Dean of Girls in any Chicago high school (1920). First African American high school principal in Chicago - at Wendell Phillips Academy High School (1927). First African American to serve on the Board of Oral Examiners of Chicago, conducting principals\' examinations.